MAVIRET is a combination of two medicines, glecaprevir and pibrentasvir, that work together to stop the hep C virus from multiplying. Even if you are feeling better before the end of your course of treatment, it is vital that you keep taking MAVIRET every day unless you are told to stop by your healthcare professional. This will give you the best chance of successfully clearing the virus. Learn more about MAVIRET treatment. ŦMost people take MAVIRET for 8 weeks (2 months). Some people will need to take MAVIRET for 12 weeks (3 months) or 16 weeks (4 months). Your doctor will tell you how long you will need to take MAVIRET. Always take MAVIRET exactly as your doctor or pharmacist tells you. Do not change your dose. What does MAVIRET and the packaging look like? MAVIRET is an oval pink tablet with ‘NXT’ stamped on one side. Tablet images are for illustrative purposes only. What dose do I need to take? 3 tablets taken together, once a day with food. If you have been prescribed MAVIRET, your daily dose will be the same no matter which typeø of hepatitis C (hep C) you have. øThere are 6 major genotypes of the hep C virus. How do I take MAVIRET? It’s vital you take your tablets along with food. You can eat a snack like a banana or yoghurt or have a full meal. It’s up to you. Swallow the tablets whole. Do not chew, crush or break the tablets. How long should I take my tablets for? Most people take MAVIRET for 8 weeks (2 months). Some people will need to take MAVIRET for 12 weeks (3 months) or 16 weeks (4 months). Your doctor will tell you how long you need to take MAVIRET for. Always take MAVIRET exactly as your doctor or pharmacist tells you. Do not change your dose. Even if you are feeling better before the end of your course, it is vital that you keep taking MAVIRET every day unless you are told to stop by your doctor. This will give you the best chance of successfully clearing the virus. It’s very important that you take MAVIRET every day and don’t miss any doses. However, if you do miss a dose, please follow the instructions below. What if I take too much Maviret (overdose)? Immediately telephone your doctor, call the Poisons Information Centre on 0800 POISON (0800 764 766), or go to your nearest Accident and Emergency. Take the medicine pack with you so that you can show the doctor what you have taken. Do this even if there are no signs of discomfort. Can I take other medicines while I’m taking MAVIRET? Because medicines can interact with each other, it is important to tell your doctor, nurse, and pharmacist about all the medicines you take. Also tell them about any supplements and remedies that you buy without a prescription from your pharmacy, supermarket, or health food store. It’s a good idea to write a list that you can show your doctor and pharmacist. Don’t start any new medicines without talking to your doctor or pharmacist about whether they can be used at the same time as your treatment for hep C.
Some medicines interact with MAVIRET. Talk to your doctor or pharmacist for more information and please refer to the MAVIRET Consumer Medicine Information for a full list of medicines you must not take or need to inform your doctor about before starting MAVIRET. Is it OK to take MAVIRET if I am pregnant? The effects of MAVIRET during pregnancy are not known, therefore the use of MAVIRET in pregnancy is not recommended. If you are pregnant or think you may be pregnant, or if your partner is pregnant or planning to become pregnant, ask your doctor for advice before taking MAVIRET. If you fall pregnant while on MAVIRET, inform your doctor or nurse as soon as possible. Can I breastfeed while taking MAVIRET? It is not known whether the active substances (glecaprevir and pibrentasvir) in MAVIRET pass into breast milk. A risk to a breastfed baby cannot be ruled out. Your doctor will discuss this decision with you. Can I take my contraceptive? Some contraceptives should not be taken during treatment with MAVIRET, so your doctor may ask you to change your contraceptive. Does it really matter when I take MAVIRET? Absolutely. You must take your tablets daily as directed by your doctor. Sticking to a regular time helps you remember when to take them and helps regulate the amount of active ingredient in your body across a 24-hour period. How can I remember to take my MAVIRET every day? There are many ways to remember. For example, you could set a reminder on your phone or online calendar. Or you could leave sticky notes on the front door to remind you before you go out. How do I store MAVIRET? Keep MAVIRET in a cool, dry place where the temperature stays below 30°C. Keep this medicine out of the sight and reach of children. Do not use this medicine after the expiry date which is stated on the carton and blister pack after ‘EXP’. What should I do if I lose my medication? If you lose your medication, it is important that you contact your doctor to get a new prescription as quickly as possible. Can I drink alcohol while on MAVIRET? Ask your doctor for advice specific to you. For a healthy liver, try to reduce or avoid alcohol. Will MAVIRET affect my ability to drive? MAVIRET should not affect your ability to drive or use any tools or machines but be careful until you know how MAVIRET affects you. What happens at the end of my treatment? It is a good idea to make a note of the date you take your last dose (end date for your treatment). 12 weeks after you finish your treatment you will need to have a blood test to check whether your treatment with MAVIRET has worked. Once the test results come back, your doctor will explain them to you. When you get your results, there is a small chance that you will find out that the hep C virus has not been cleared. If this is the case, you will probably feel disappointed and frustrated that you are not cured. Talk to your doctor and nurse about your options, and how you can continue to look after your liver. It may also help to talk with close friends and family. Will successful treatment prevent me from getting hep C in the future? No, MAVIRET is not a vaccine. You should take precautions to avoid re-infection. To find out more about how you can get and transmit hep C, visit www.hepCinfo.co.nz or talk to your doctor or other healthcare professional”. 1. MAVIRET Approved Data Sheet. 2. MAVIRET Approved Consumer Medicine Information. 3. AASLD and IDSA. HCV Testing and Linkage to Care. https://www.hcvguidance.org/. Accessed July 2018. 4. WHO. Guidelines for the Screening, Care and Treatment of Persons with Chronic Hepatitis C Infection. https://www.who.int/hepatitis/publications/hepatitis-c-guidelines-2016/en/ Accessed July 2018. MAVIRET is only available from certain pharmacies. Find your nearest pharmacy. Could you have hepatitis C? If you have any questions about MAVIRET or hep C, talk to your doctor. The content on this site is intended solely for New Zealand residents. It is intended for informational purposes only and should not be used to replace a discussion with a healthcare professional. All decisions made regarding patient care must be handled by a healthcare professional and be made based on the unique needs of each patient. The person shown is from stock photography (model) and is not an actual patient. This website has been developed and is funded by AbbVie Limited, Wellington. MAVIRET is a fully funded prescription medicine with an alternative arrangement on how it is available to you. Your prescriber will explain this to you. MAVIRET is used to treat chronic (long-lasting) hepatitis C virus (HCV) in adults. Ask your doctor if MAVIRET is right for you. Normal doctor’s charges will apply. Always use strictly as directed. If symptoms persist or you have side effects, see your healthcare professional. Please refer to the Consumer Medicine Information that is available from your pharmacist, from the Medsafe website www.medsafe.govt.nz or free phone 0800 900 030. 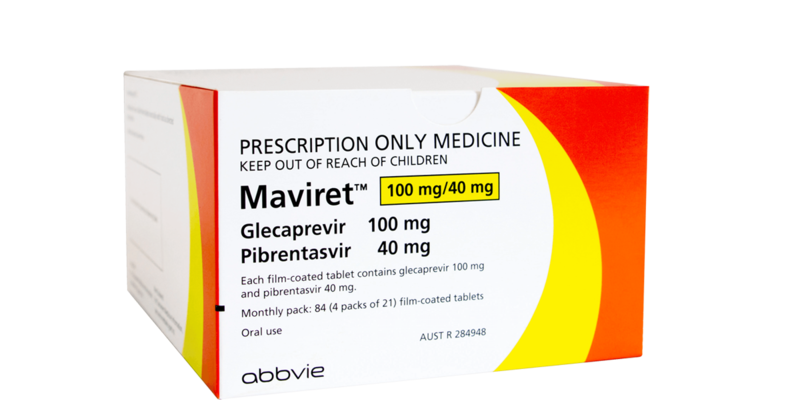 MAVIRET is a prescription medicine containing a combination tablet of 100 mg of glecaprevir and 40 mg of pibrentasvir. This medicine belongs to a group of medicines called direct-acting antiviral agents. MAVIRET has risks and benefits. You must not take MAVIRET if you are allergic to any of the medicines contained in MAVIRET, or to any of the inactive ingredients. dabigatran, digoxin, ethinyloestradiol, fluindione, warfarin or other vitamin K antagonists, St John’s wort. Tell your doctor, nurse or pharmacist if you notice anything that is making you feel unwell. Some of the more common side effects of MAVIRET include feeling very tired, headache and nausea. AbbVie is a registered Trademark of AbbVie Inc. MAVIRET is a registered Trademark of AbbVie Ireland Unlimited Company. Copyright © AbbVie Limited. AbbVie Limited, 6th floor, 156-158 Victoria Street, Wellington 6011, New Zealand. TAPS PP2195. NZ-MAVI-180022. Date of preparation September 2018. You are now leaving MAVIRET.co.nz. Links to external websites are offered for your convenience. 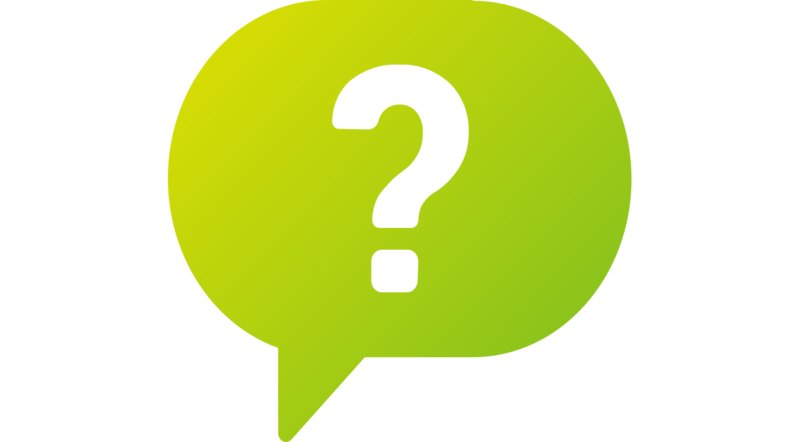 References to any products, services or other information by trademark or otherwise is not intended to imply endorsement by AbbVie Ltd. Any healthcare information provided within these sources should be discussed with your healthcare professional and does not replace their advice.